I finally got these polish off, just for all of you. 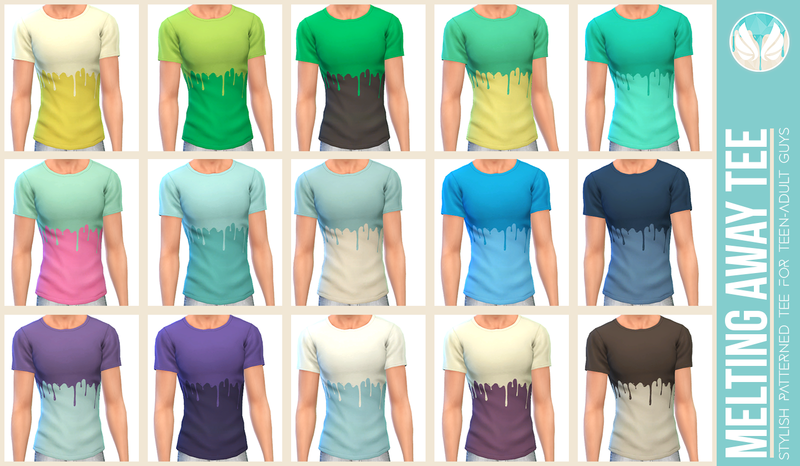 These are the meshes I made for my GTW clothing store, so now you can enjoy them as much as me. 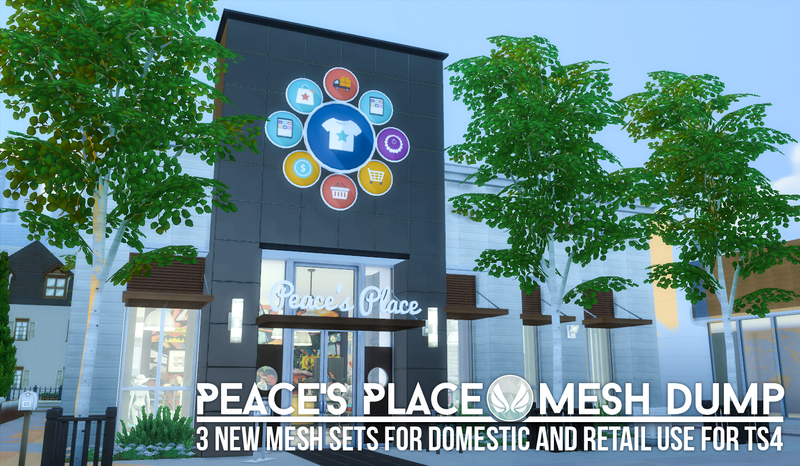 There is 3 new meshes; 2 awnings, and a GTW sign that you are free to customise for your own use. I am loving murals at the moment. 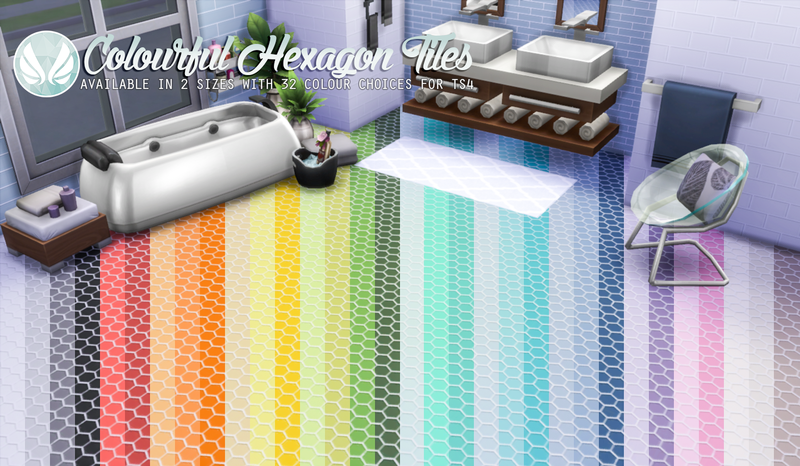 Unlike TS3 where each part had to be placed individually, you have specific wall types in-game that tile over more then 1 square to create some interesting designs and less repeat. This is another example of that. 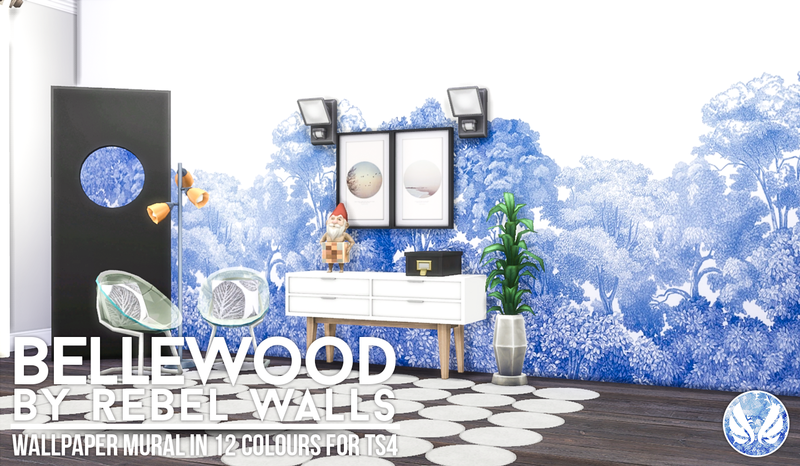 This mural is not seamless vertically, as it is design for interior use, so be aware of that. 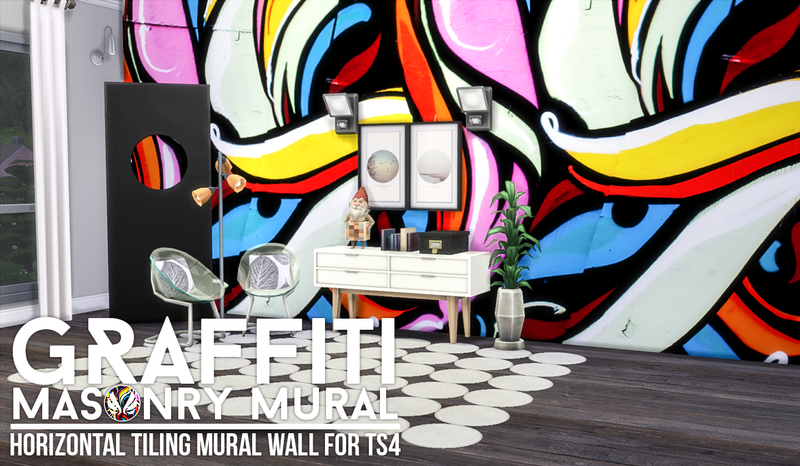 But it works well for picture/feature walls like this graffiti mural, and adds a focal point to a room. This is a mural wall. There are no individual parts that need to be placed separately. Just use like normal wallpaper. 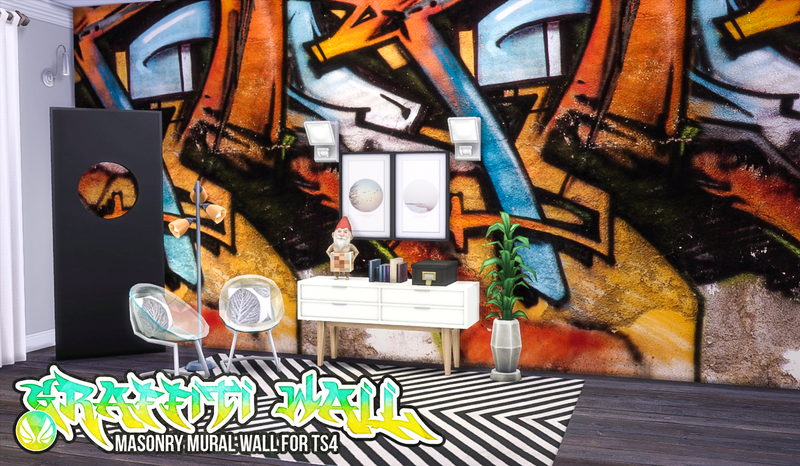 When I first started murals, I kinda got carried away with the idea of graffiti, but i am branching out and found this lovely mural at Rebel Walls, I just had to have it for my game. 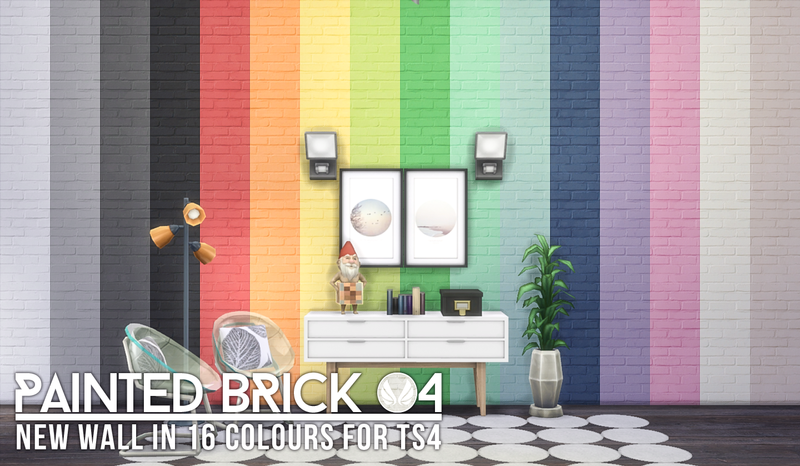 So I made it, and here it is; in all 12 glorious colours. 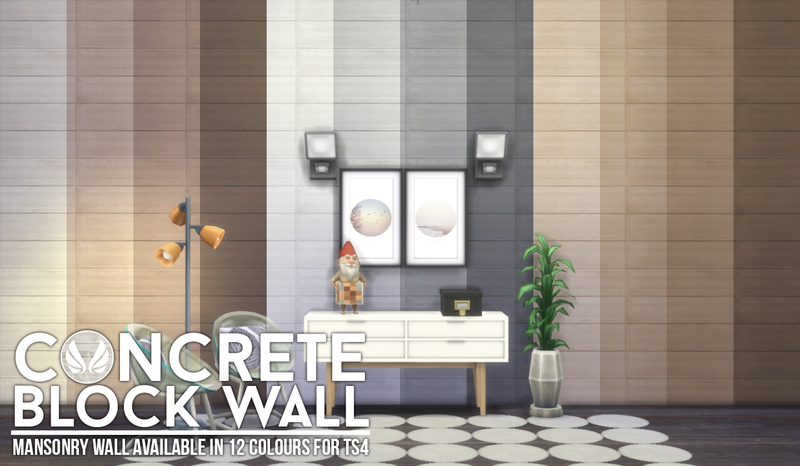 Looks awesome as a feature wall behind beds. I would have loved to have had it higher, but there is only so much you can do with source material before you lose quality. I don't think it detracts from it though, so I hope you enjoy. At the request of Rebel Walls, the mural has been renamed to Bellewood to reflect the real life wall this is based on (the link is above where you can check it out). 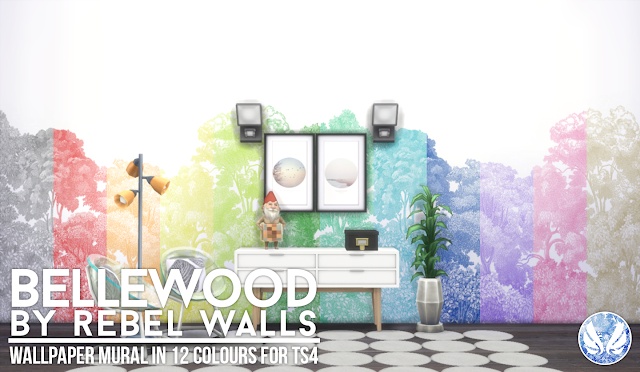 Please re-download and delete the previous version (called PC-TS4-Forrest-Mural) and replace it with the new one. The archive contains the package file and preview image. 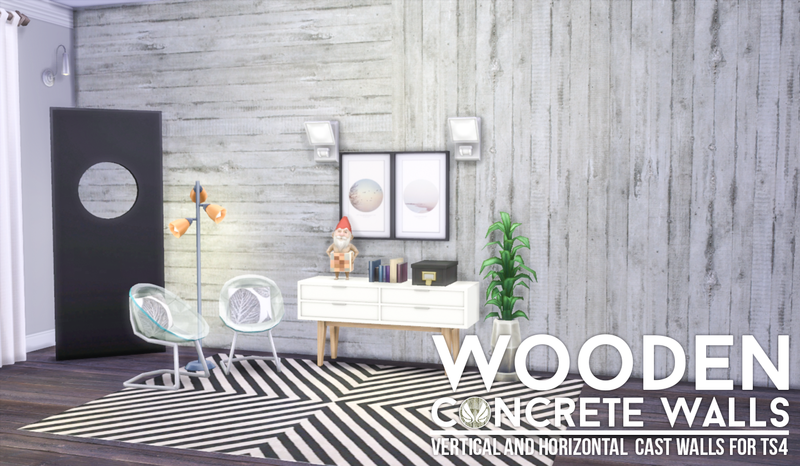 Extract and place the package file in your mods folder and look for them in your game. I hope you enjoy. One area that is seriously lacking for Guys is underwear. There is 2 choices from EA. Only 2!!! So I had to do something about that. Here are 3 styles of trunks (boxer briefs) from your guys that will help rectify that serious oversight. They are 3 leg lengths, long, regular, and sport. 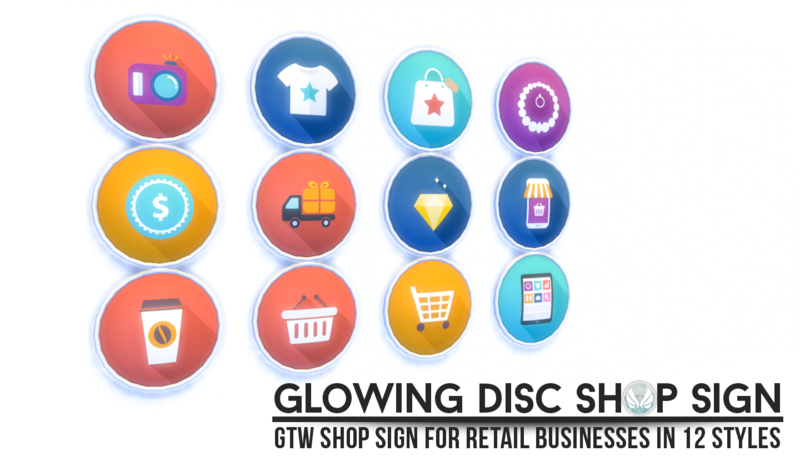 They come in the same colour combinations and give you a few more choices then what was available. 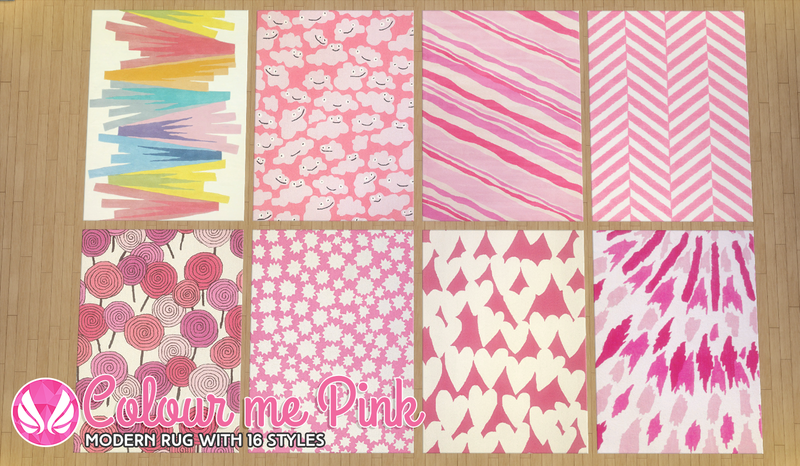 This week we are looking at the colour pink. 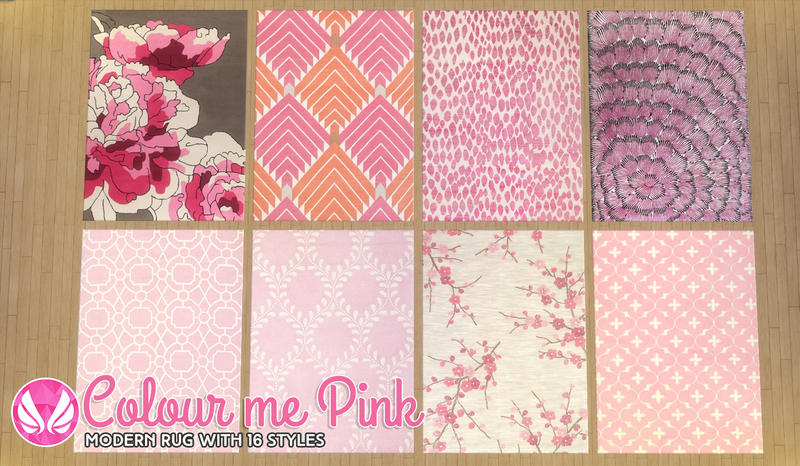 Often seen as a girly colour only suitable for a girl's room, pink in varying amounts can help liven up any room in the house. 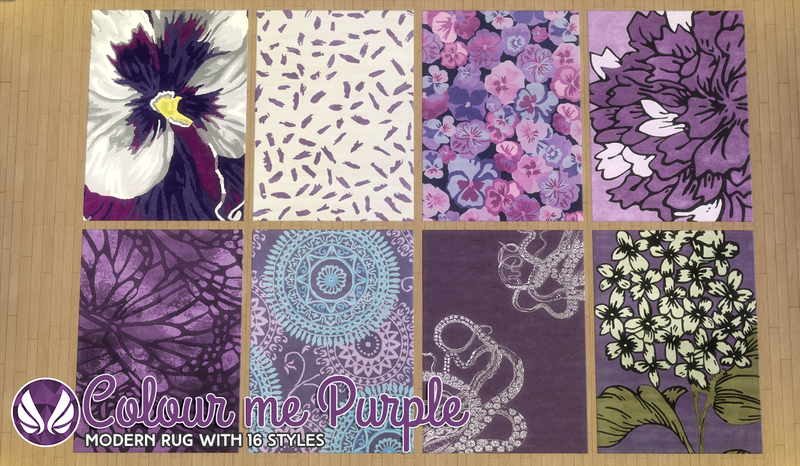 It can be overpowering though, so rugs are a good way to introduce the colour into a room. I love how these turned out, and hope you like them too. 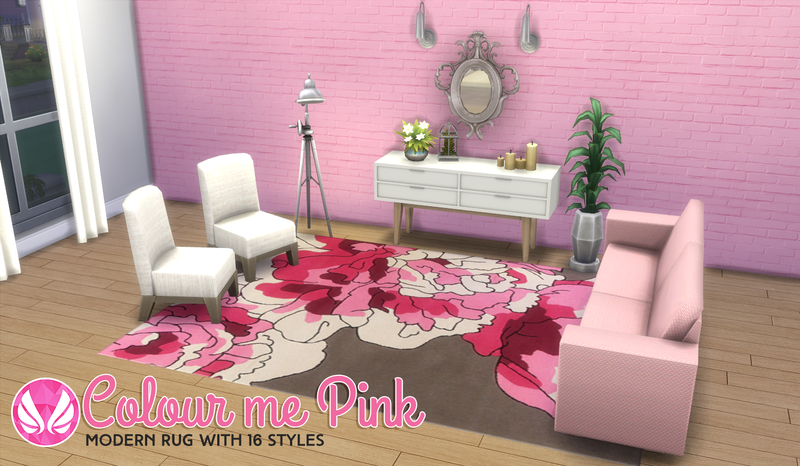 Most of the rug designs were found on sites like Wayfair.com and google shopping. 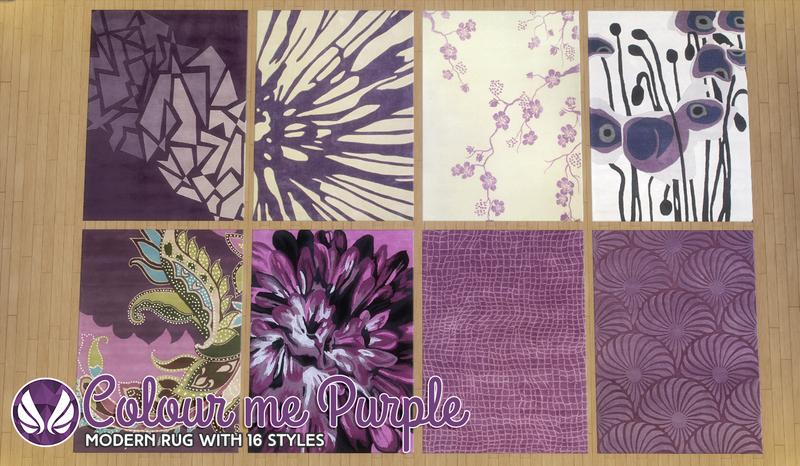 This week we are looking at the colour purple. This colour can be seen and both masculine and feminine, depending on the shade. It is also a great highlight colour to add interest through wallpaper, solid walls, and accessories like rugs. I love how these turned out, and hope you like them too. 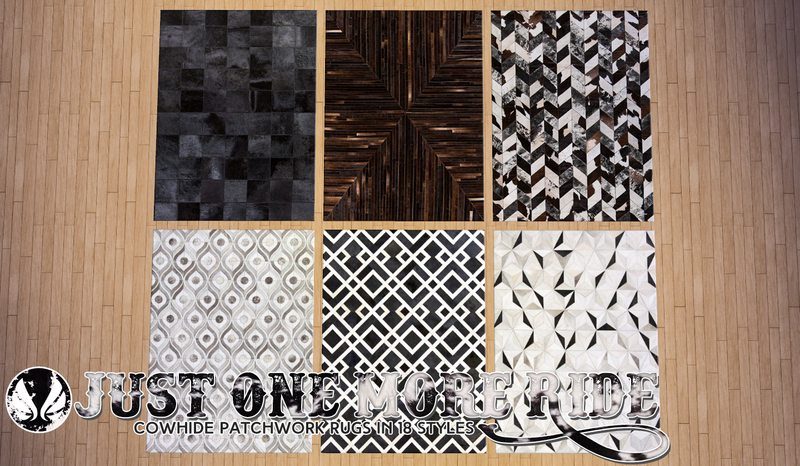 Most of the rug designs were found on sites like Wayfair.com and google shopping. 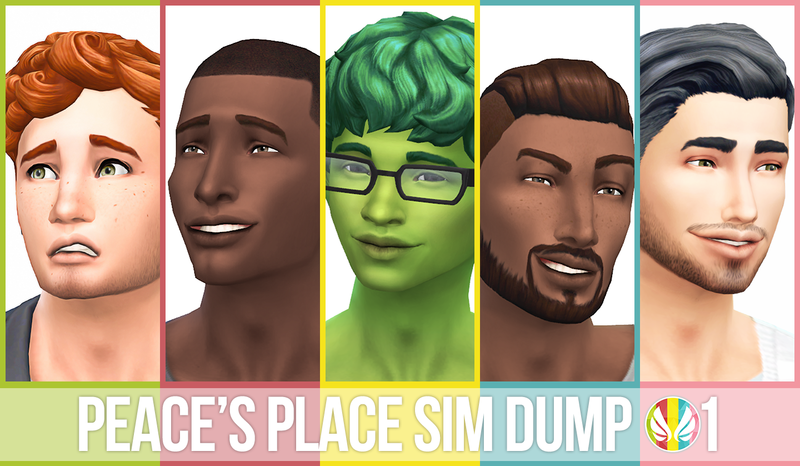 Welcome to Peacy’s first sim dump! Thought this would never happen, right? 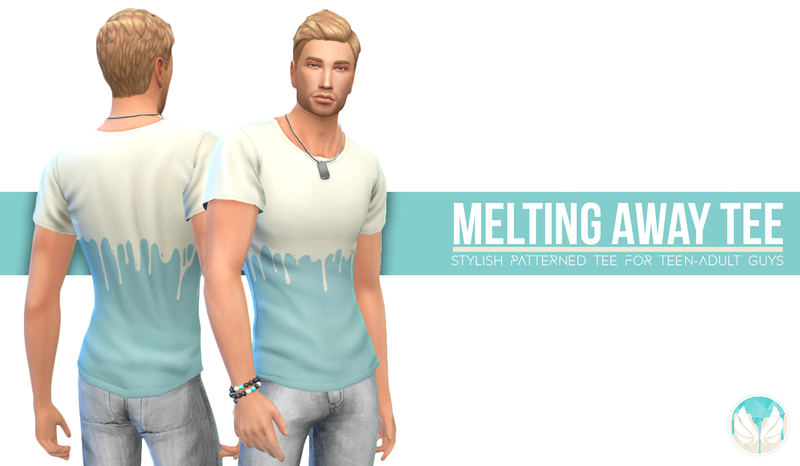 So did I. I get really attached to my sims since they have a bit of my personality in each of them, it is hard to let them go. But you know what? I think I can share some of them, and I hope they find some wonderful new homes. 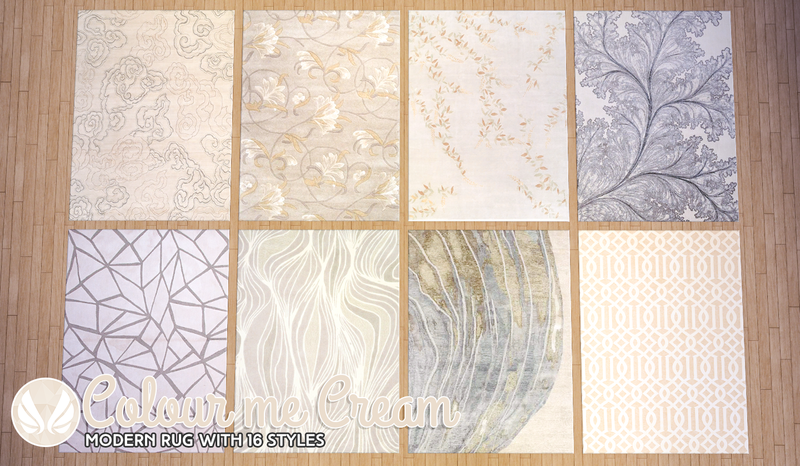 These are sims I use occasionally for modelling and projects, or I made them just as a way to relax. 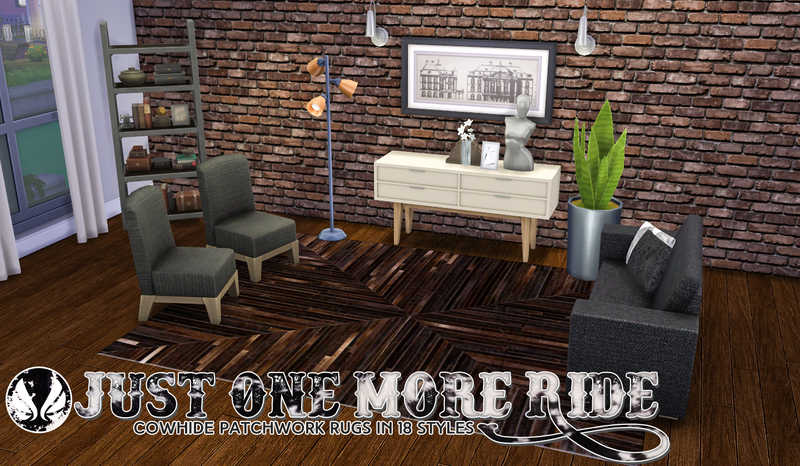 They are not part of my 'inner circle' of sims that I play regularly. I wont share those openly. That is like asking for my liver or right kidney; it ain't gonna happen. So if you can't see them here, you are unfortunately out of luck. 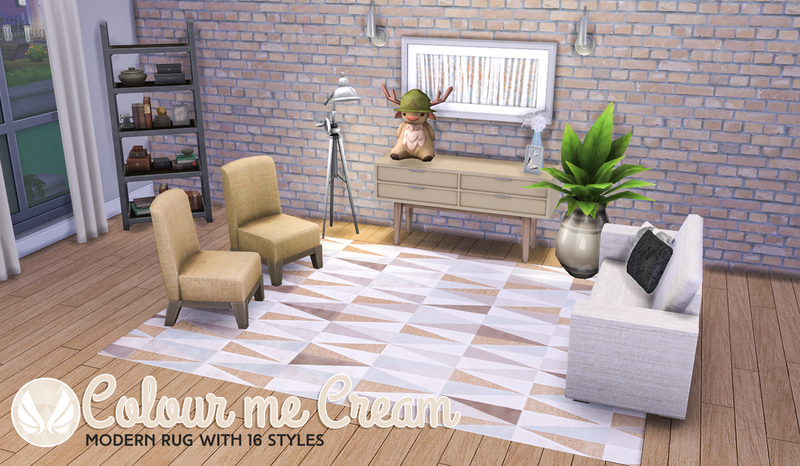 Anyway, enough of that, lets get to the sims. I have put this under a read more because it is a bit long. 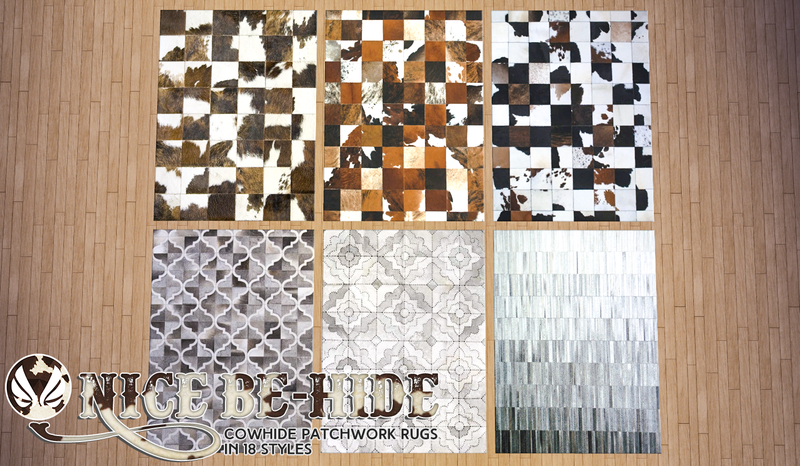 Part II of my leather patchwork rugs, this one develops on the idea of the first, but with a few more modern designs in geometric patterns. It is just amazing what you can do with leather! 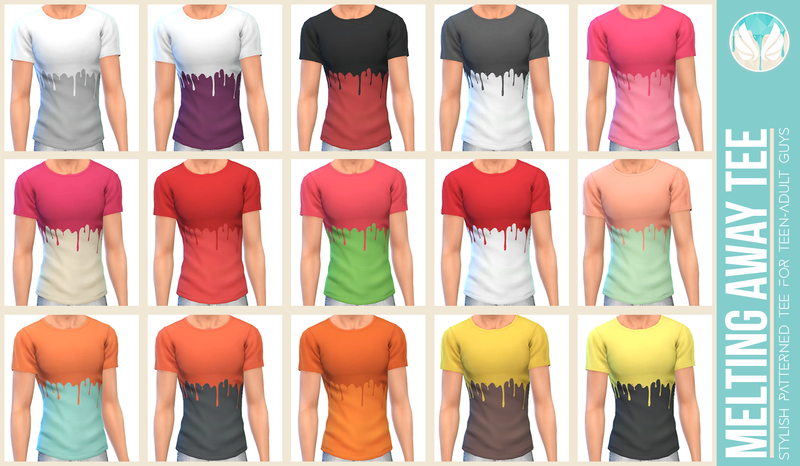 I collected that many styles, I had to have them all. I hope you like them as much as me. 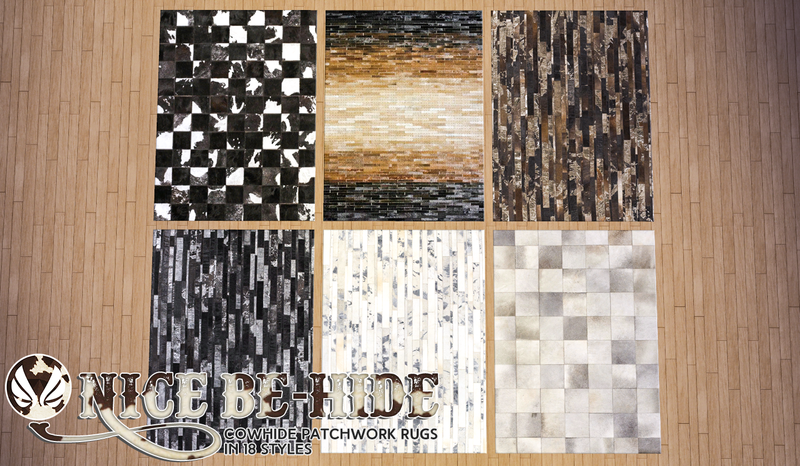 Most of the rug designs were found on sites like Wayfair.com and google shopping. 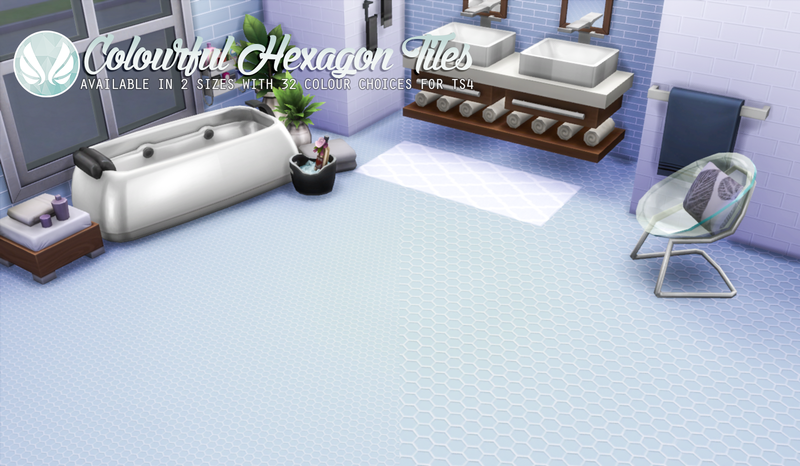 I really love my black and white hexagon floor tiles, but they can be a bit limited with their use. So I decided to make some coloured ones in 2 sizes. 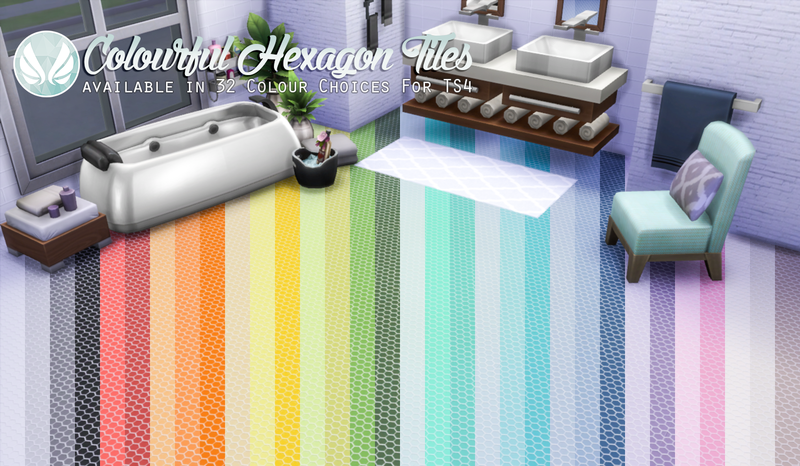 These are in the same colour selection as my glass tile set so they will match up if you choose to use them, or use them independently. 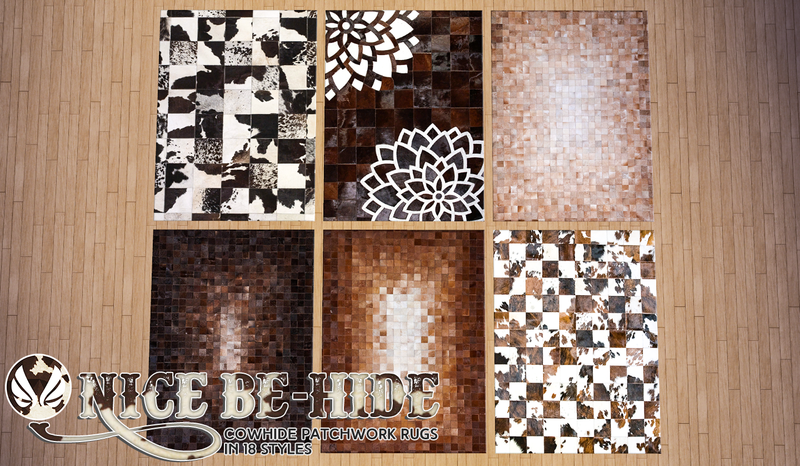 The archive contains the package file for both tile sizes and preview images. Extract the archive and place the package file in your mods folder and look for them in your game. I hope you enjoy. Leather is awesome. 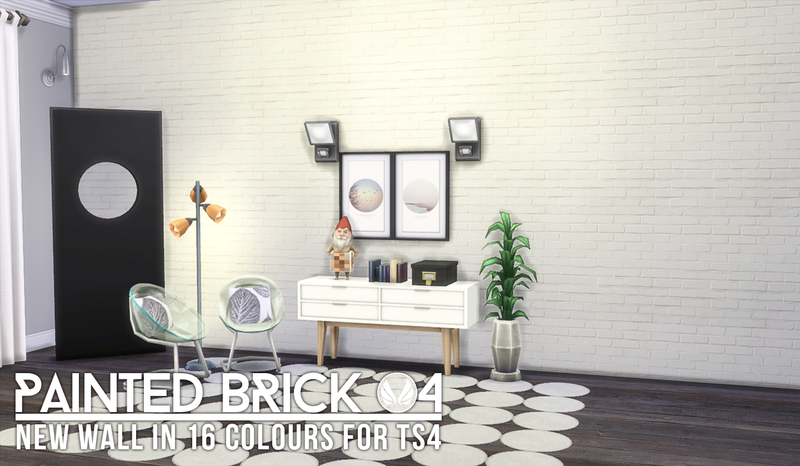 It was something I missed making the transition from TS3 to TS4. 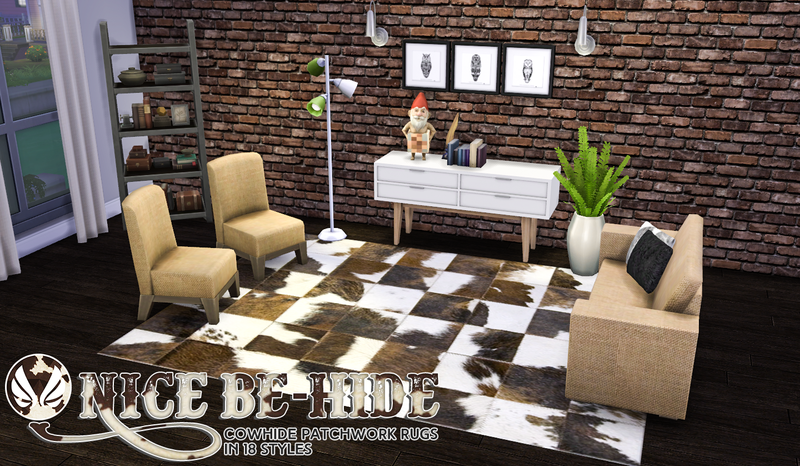 I also love leather used in unusual ways, and when I found a patchwork rug while browsing the net, I knew I would have to do a rug set. As it turns out, this is just part I of II. I collected that many styles, I had to have them all. I hope you like them as much as me. 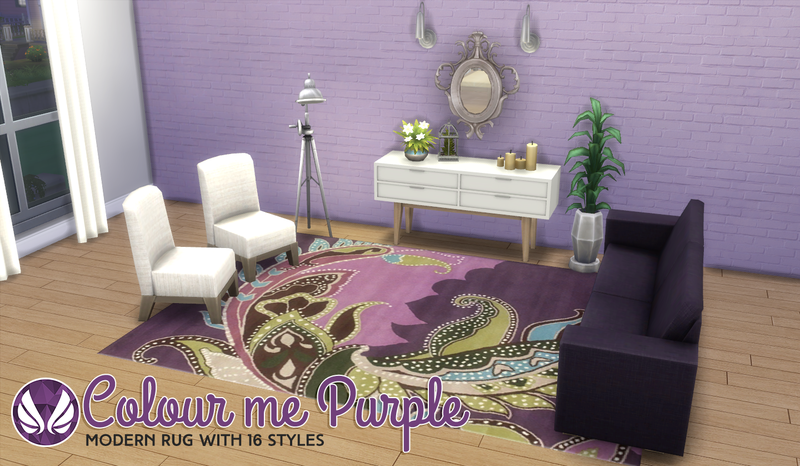 Most of the rug designs were found on sites like Wayfair.com and google shopping. 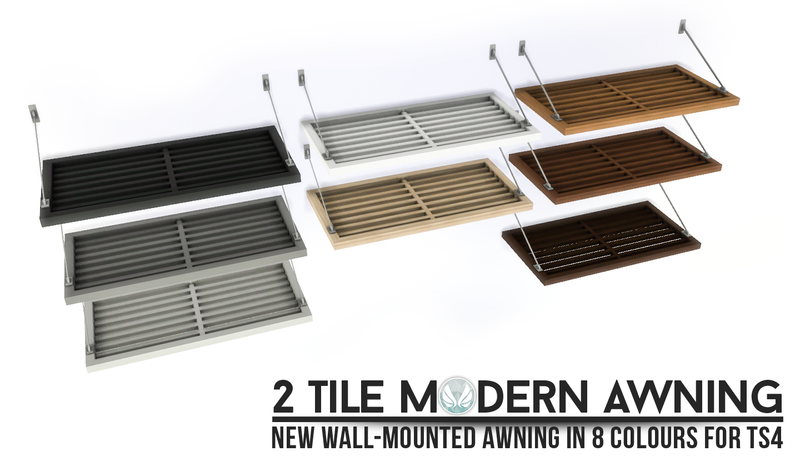 Well, I finally got these done and ready to share with you. 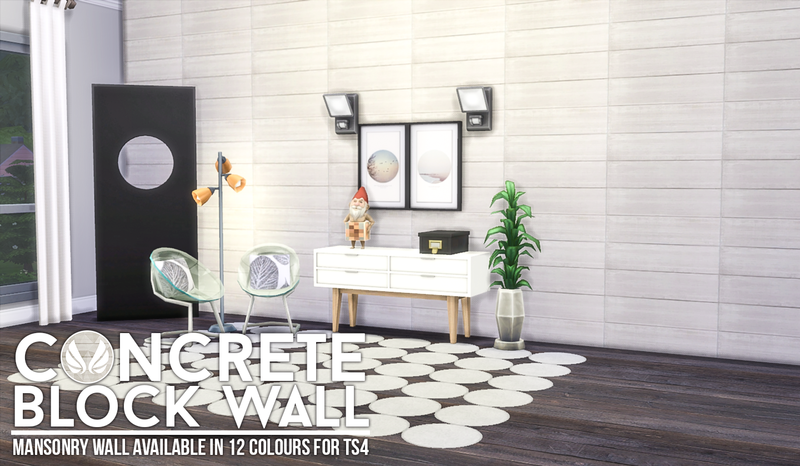 These are all the walls, and flooring, that I made for my GTW store that have now been polished up for you all to download and enjoy. 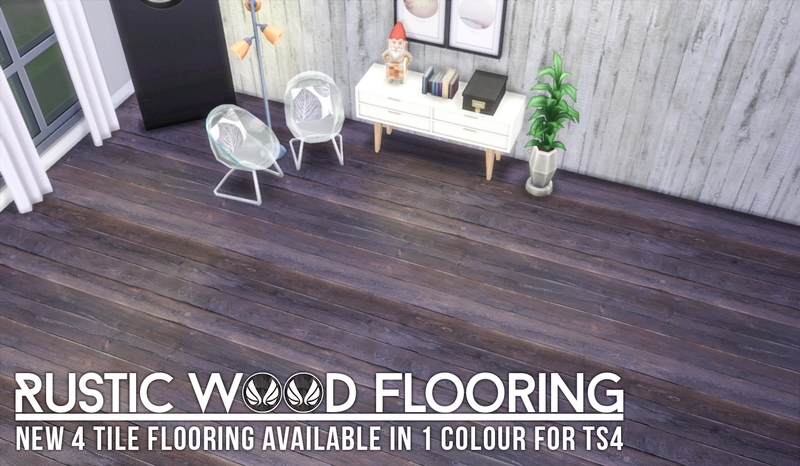 there are 4 walls in total, and one flooring. 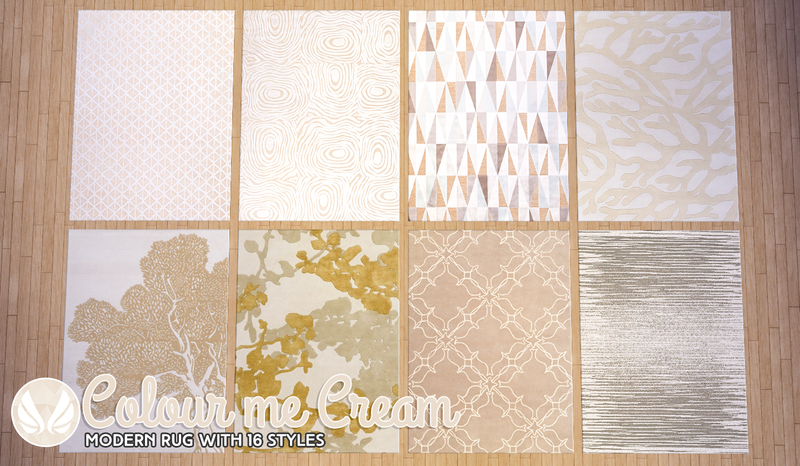 This week we are looking at the colour cream. 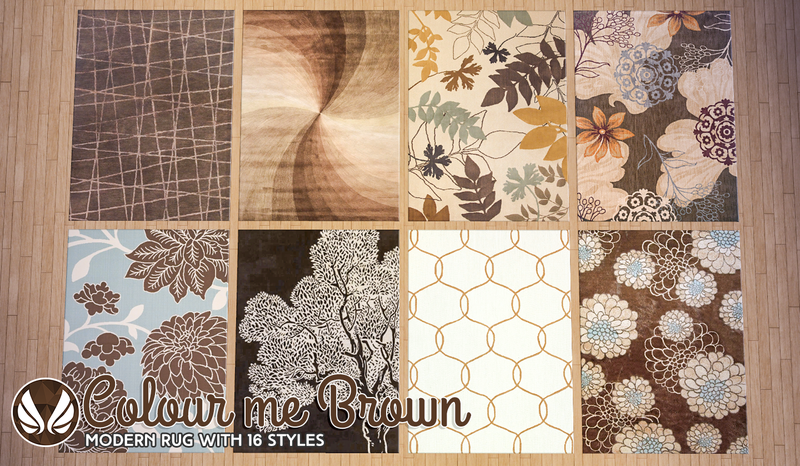 Often seen as a neutral, cream/beige and light browns can be used in interesting ways with patterns and colour combinations making them more of a focal point rather then the canvas on which to apply the paint. I love how these turned out, and hope you like them too. 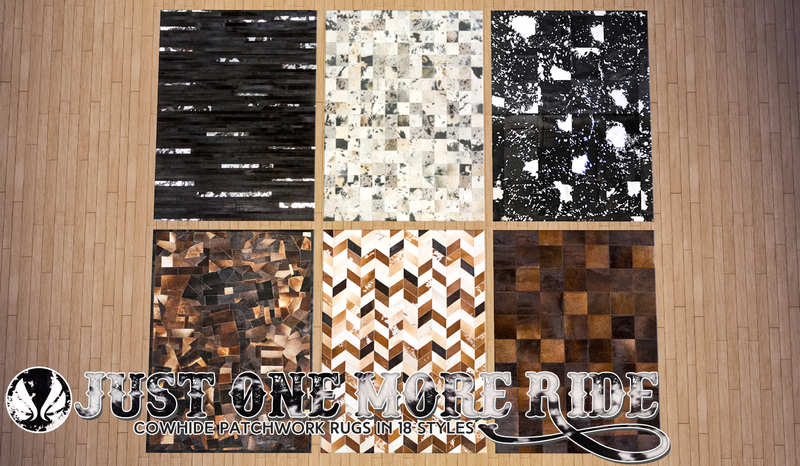 Most of the rug designs were found on sites like Wayfair.com and google shopping. 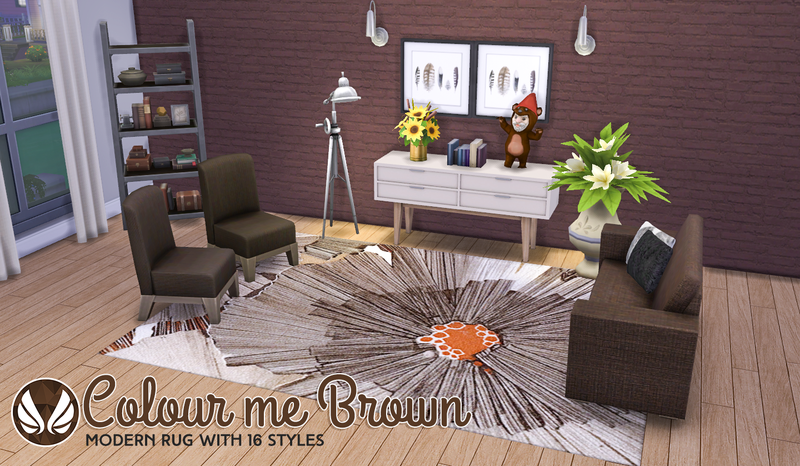 Continuing with the Colour Me rug sets, and this week we are looking at the colour brown. 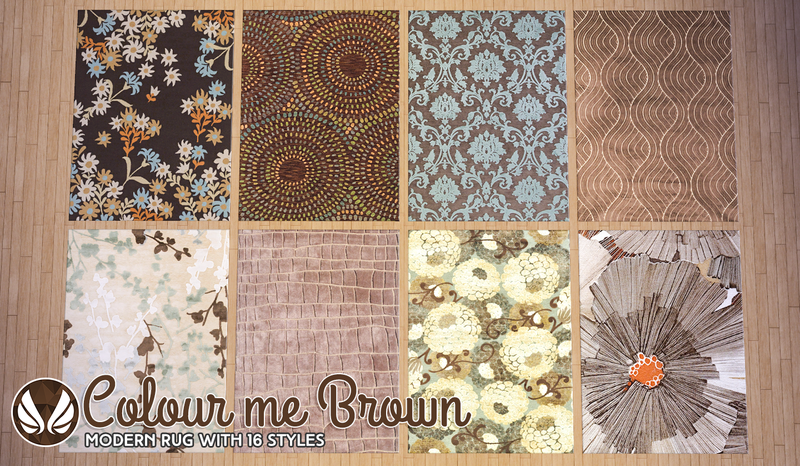 Brown can be seen as a bit of a drab colour, but in the right designs, it can ground a room. 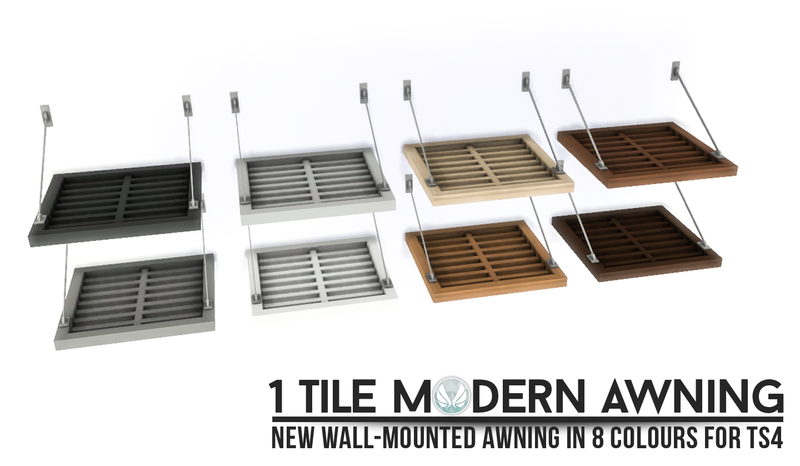 It is also very versatile, but in small amounts otherwise it can soak up the light and darken a room too much. I love how these turned out, and hope you like them too. 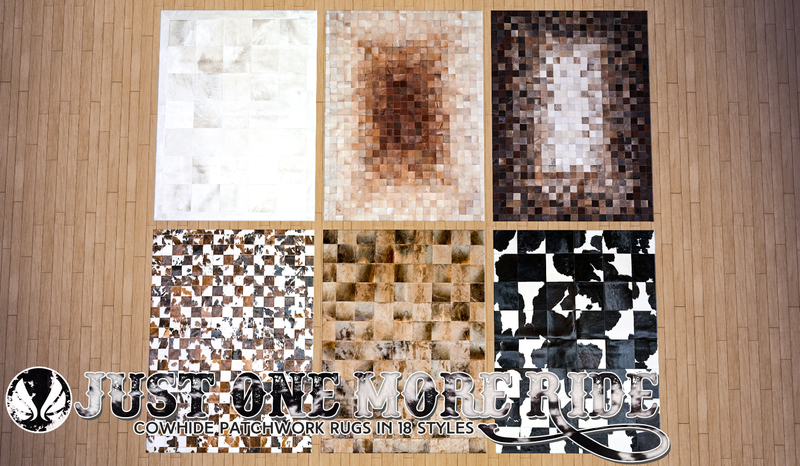 Most of the rug designs were found on sites like Wayfair.com and google shopping.